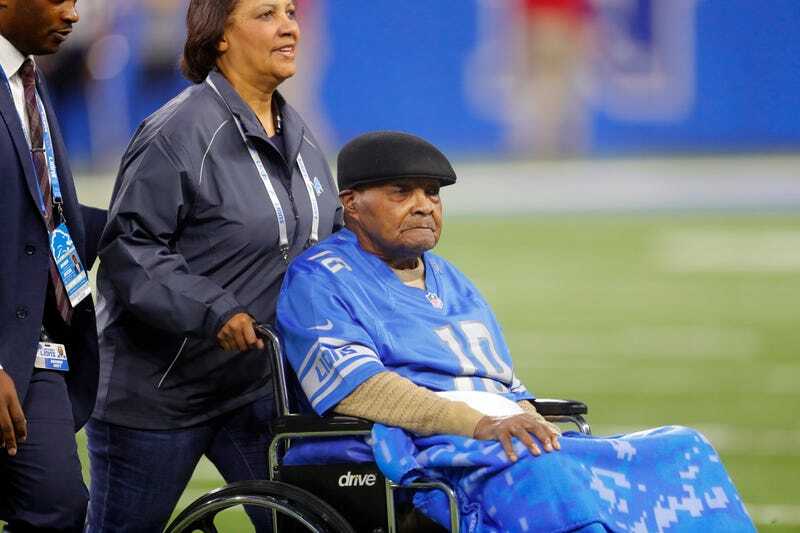 Wally Triplett, the trailblazing Detroit Lions running back who was the first African-American to appear in a game for an NFL team after getting drafted, died Thursday. He was 92. In a statement released by The Lions, Triplett is celebrated for his contributions both on and off the field. “As the first African American to be drafted and to play in the National Football League, Wally is one of the true trailblazers in American sports history. He resides among the great men who helped reshape the game as they faced the challenges of segregation and discrimination. “His contributions date back to his days at Penn State as the Nittany Lions’ first African American starter and varsity letter-winner, highlighted by his appearance in the first integrated Cotton Bowl. After becoming one of the first black players to play for the Penn State Nittany Lions’ varsity team—including catching the game-tying touchdown in the first integrated Cotton Bowl in 1948—Triplett was selected by the Detroit Lions as both a running back and returner in the 19th round of the 1949 draft. In 2013, Triplett revisited that career defining-moment in an interview with Ben Jones of StateCollege.com. Triplett split his four NFL seasons between the Lions and the Chicago Cardinals. During which, the 5-foot-11, 173-pound halfback appeared in 24 games—Totaling 321 yards and one touchdown on 70 attempts, along with 17 receptions for 175 yards. He also collected 34 career punt returns for 401 yards and a touchdown, in addition to 18 kick returns for 664 yards and a touchdown. But his greatest game came on Oct. 29, 1950, in which he amassed a then-NFL record 294 yards on four kick returns, punctuated by a 97-yard touchdown against the Los Angeles Rams. That record would remain in place until it was broken 44 years later in 1994. But of course, Triplett’s career wasn’t without its bouts with racism. He missed the 1951 season while serving in the Korean War, before eventually retiring from the NFL following the 1953 season. Triplett is survived by his three children, six grandchildren and five great-grandchildren.